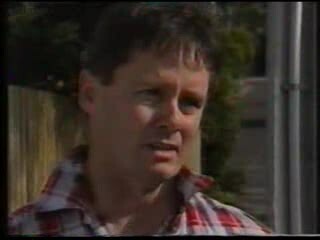 Helen and Todd decide to go over to Bob and tell him that he either come with them immediately or they'll call the police, but as they're about to leave they see a police car pull up in their driveway. Todd suggests they tell the police that they don't know where Bob is. Helen says Todd's father is guilty of armed robbery and if they don't tell the police that they know his whereabouts then they could be charged with harbouring a criminal. Todd asks Helen to stall them to give Bob time to get away. Helen doesn't think Bob can run forever, but Todd has to warn him. Todd runs out the back as the police knock at the front door. Helen answers and invites the officers in. 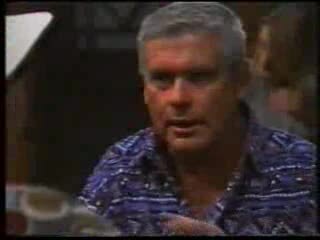 Todd warns Bob that the police are at the Robinson house and they're on their way. He tells Bob to stop running. Bob thinks Todd's got an easy life, but Todd says he's made a good life for himself and there's nothing to stop Bob from doing the same. They might go easy on him if he gives himself up. Bob refuses and rushes off. Toby is holding his cat Fluffy, when Madge suggests he go back to Number 30 tonight and he agrees as all his stuff is there. Toby wants to stay at Mrs Burke's a bit longer, they're just getting used to each other and she'd get really sad if he left. Toby tells Madge it isn't that he doesn't want to live with her, he just doesn't want to hurt anyone's feelings, and Madge understands. Brenda tells Toby he'd better visit all the time or she might forget how to talk to men altogether. She can't think of a single man who she could invite to a crummy barbecue but she's told Vicki that she had stacks of boyfriends to choose from. There's a knock at the door, and it's Lou. He hugs his big sis Brenda, but Madge isn't pleased to see him and asks why he followed her down here. Madge says there's no way she's getting in a relationship with him, and that he's wasted an air fare. Lou says Max Morton has asked him to look after his used car business while he's in Bangkok, so unless she has something against him helping a friend in need, he reckons he'll stay for a while. The police ask Helen whether Todd knows anything. She says Bob is a manipulator and he wouldn't tell Todd anything that didn't suit his own ends. Unfortunately Todd's very gullible where his father is concerned. 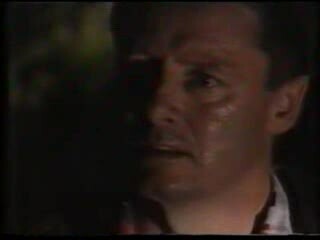 Helen's worried Todd has run off with his father, and is worried for his safety as he was in such an emotional state when he left. Sergeant Bowen say Todd may try to contact her, and ask her to let them know if she sees or hears anything. He thanks her for returning the stolen goods and thanks Helen for her cooperation. Doug doesn't think Faye's fiancé Nev will ever wear formal gear, but she says he will, in fact he's being fitted out for it tomorrow morning. Doug says he isn't, he has a site inspection tomorrow and he needs Nev. Faye decides to ring him to take the morning off, which makes Doug furious. Faye says choosing and colour coordinating the outfits is number one priority as the wedding is next week. Doug reluctantly agrees. Faye tells Pam that she'll be wearing traditional white with a full length train and asks Pam to help her choose her gown and she can get a maid of honour outfit as well. Faye insists that she come, and Pam agrees to fit it in between house calls. She asks Doug to come along too, but he brushes her off. Bob and Todd hide around the corner and watch as the police car leaves the street. Bob says he knows how cop's minds work, they'll think he's long gone and will set up road blocks on the major highways. The safest thing for them is to go back inside. Bob says at 9.30 tomorrow morning his mate will arrive with his truck and then sweet freedom. Todd wonders if Bob thinks of anyone other than himself and says he's made a great career out of conning people. 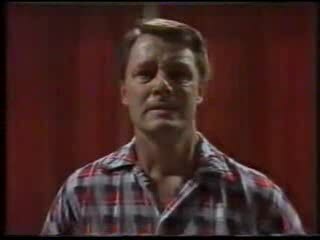 Bob apologises to Todd, he didn't mean to let him down and says they can try again. Todd doesn't want to hear Bob's lies, there's always a con going on, he calls Bob a no- hoper and he's sick of him! Todd tells Helen that he can't turn Bob in. Helen says withholding information is a crime in itself and they're both guilty of that. He says he can't dob in his own father, even if he is guilty. She asks him to think about it, but shouldn't tell her where Bob is as she doesn't want to know. Todd apologises for getting her involved, he's an idiot for believing him. He says Bob should never have had kids, he can't even look after himself. Todd says if he ever has kids he'll look after them properly, and won't treat them the way Bob's treated him. Lou bids good morning to Brenda and Madge, neither of whom are thrilled by his presence. 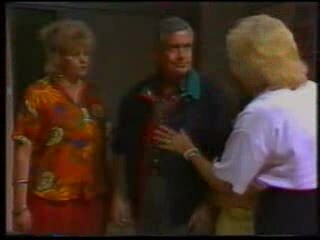 Lou tells Madge that Lassiters Hotel is expensive. Madge thinks he should find somewhere cheaper, or better still go back to Queensland. 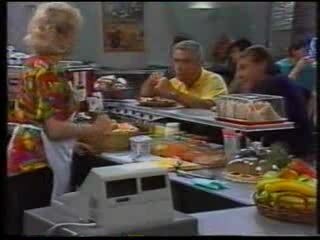 Brenda serves Lou some cereal, and tells him while he's down here he should spend some time with Guy, he needs a father. Brenda leaves for work. Lou smiles at Madge. LOU: Playing hard to get, aren't you? MADGE: Lou, I am not playing anything. I told you in Queensland, I'm not interested, and you coming down here and making a pest of yourself is not going to convince me otherwise. LOU: I don't want to be a pest, I want to be your husband. Lou tells Madge she can't mourn Harold forever. Madge says its own been a few months and if she were to marry again it wouldn't be to Lou. She wouldn't do that to Harold. Lou tries to convince her again, and she says if he doesn't stop hounding her, she'll thump him! He backs off and promises not to bring it up again, but he invites her out to dinner with Max Morton and him. She's a businesswoman and could tell him about local business. Madge agrees. Faye and Pam try on a variety of dresses and outfits, going in and out of fitting rooms. Faye eventually finds dresses for them both, leaving Pam fed up and exhausted. Bob looks outside to the street from behind the curtain, anxiously waiting for his mate to arrive. A police car arrives. Madge tells them she was about to call them, she thought she saw a face behind the curtain. They realise its Bob Landers and call for backup. Doug tells Lou that there's a big local market for vehicles here. Lou thanks Brenda for introducing them, as Doug's quite the authority on cars. Brenda asks Doug to be her partner at a barbecue. Doug says they've been down that road before, but Brenda assures him it's for appearances only and she doesn't want to steal him away from his wife. Doug says he can't and makes up an excuse. Faye and Pam arrive and hand Doug the dresses as Pam rushes back to work. Faye shows Brenda her engagement ring. Brenda looks like she couldn't care less about the ring, and flatly says congrats to Faye. FAYE: Oh listen to me going on, you probably feel awful about Nev. But the right man will come along for you Brenda, as long as you don't force it. Men sense desperation you know. The police enter, as they search a bedroom, Bob tries to make a run for it but they catch him and place him under arrest. 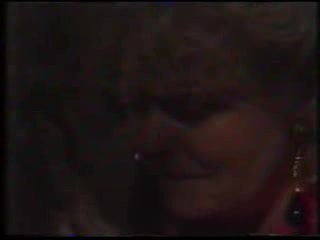 As Helen and Todd arrive, Madge tells Todd that there's an intruder in the Mangel house, and he runs off after his dad. He sees the police taking him out from the house. Bob accuses Todd of turning him in, but he swears it wasn't him. Bob thinks Todd is trying to wreck his life, Todd says Bob is unbelievable. He covered for him, but the only thing Bob's ever done for him is kick him and mum in the teeth. Bob knows he hasn't been much of a father, he wouldn't know where to start. He feels really bad about that. He says he's sorry, and Todd hugs him and tells his dad he loves him. Bob says he loves Todd, as he is put in the police car. Toby asks why Madge is going out with Lou, Granddad hated Lou. Lou says he and Harold were mates, they just didn't see eye to eye. Toby says that's a lie, he thought Lou was a sleazebag and he hated his guts. Madge realises it's true and says she can't go to dinner. This would hurt Harold. She and Toby go to get some fish and chips. 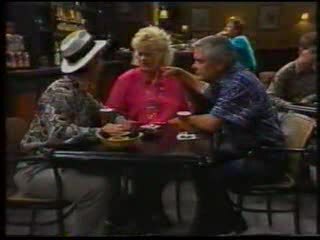 Lou invites Brenda to come out for dinner with him and Max. He says Max has a way with the ladies, he's got a reputation and quite a bit of money too. Brenda wonders if Max would be up for going to a barbecue tomorrow, Lou thinks it's worth a shot. 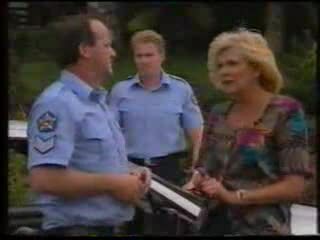 Helen gets off the phone with Sergeant Bowen. She tells Todd that under the circumstances the police most probably won't press charges against them. Helen tells Todd he's not responsible for his father's past or future actions. Todd still worries about him and loves him. Todd thinks if he'd followed his dad's example, he'd be a crook too, people say it runs in the family. Helen says not in this family, and assures him he is part of this family. Todd thanks her, he doesn't know where he'd be without them. Helen tells him to believe in himself and he will make a success of his life. Doug enters to see Faye in her wedding dress. He says she looks beautiful, and she'll do Nev proud. Doug asks if she's going to invite her kids to the wedding. She says they won't come and asks for him to not mention them again. Pam arrives struggling to put on her dress. FAYE: Oh Pam, it looks even better in this light. PAM: Good, then you wear it! FAYE: Don't be silly, I'm the bride! Besides you tried on every dress in the shop, oh she's so hard to please! PAM: Only when I'm not given any choice! DOUG: It's different. Interesting colour. PAM: I hate it! And I'm sorry Faye I'm taking it back to the shop and getting something half decent. FAYE: With the right accessories it'll look lovely. PAM: What? A straw broom and a pointy hat?! Faye says she can't take it back as it was on sale. Pam says she'll get Gaby to make something up and she'll reimburse Faye the money. Faye likes it, it goes so well with her dress. Faye says it's her wedding, her special day, and Pam wouldn't begrudge her that, would she? Lou tells Max that Brenda is looking for a date and was hoping to rope him in. 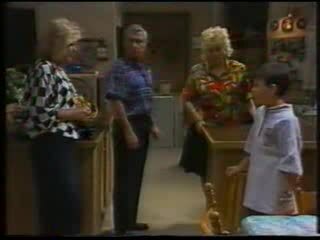 Lou and Max start talking about Brenda like she's a used car. Brenda walks out calling them animals. Lou says they're only joking. BRENDA: I'm not laughing am I? I may not be any raving beauty but I'm a person with feelings, not some used car! Brenda storms out, and once outside bursts into tears.